This lovely 2 bedroom , 2 bathroom, beach house is less than 100 metres from the beach with beautiful day and night time views across the ocean to Apollo Bay. There are floor to ceiling windows flooding the house with light and a modern kitchen equipped with everything you need. The bathrooms are oversize and the master bathroom has a wonderful spa bath, ideal for a romantic getaway or soothing relaxation. The open plan kitchen, living and dining area over look the outdoor deck and the bay beyond. There is a TV, DVD and Foxtel plus a coffee pod machine. The master bedroom has a queen size bed a 2nd TV and the 2nd bedroom has 2 singles with its own access to the family showeroom. Skenes Creek is just 5 kilometres from Apollo Bay on the spectacular Great Ocean Rd, "one of the most beautiful coastal drives in the world". Beach Gum is a fully self contained, open plan, ecologically sound getaway which is private and ultra relaxing. There is a huge outdoor deck which looks out over the Southern ocean, plus a paved fenced wind-proof courtyard for easy entertaining and long lovely lunches! The house is air conditioned and heated and with off street parking, a locked storage area and a laundry with washing machine and dryer, Beach Gum is the perfect place for a fabulous break away. We also have 2 other beach houses in the same area, which sleeps between 6 and 10 guests each, all with magnificent ocean views. Booking these properties out together allows for your own privacy but with your friends and family just moments away. Location to beach and Apollo bay was great. Clean well presented property with everything you need for a weekend away. Close proximity to the beach and all the shops in Apollo bay o my a 5 mi it’s drive away. Thanks so much Joanne, delighted you had a lovely stay. I stayed here for two nights over the weekend with my family. It was a great place! Everything we needed for a comfortable stay, and super close to the beach! Only a short drive to the main town and I loved that it was pet friendly. Will definitely be back, thanks for having us! When we arrived at Beach Gum and opened the front door we found a nice and comfortable two bedroom place with a great view over the beach. The location to the beach was fantastic and we took our dog many times. - there were black covers (BBQ?) laying on the deck. On return of our two night stay I emailed Beach Gum and reported these problems to be told that I should have reported them when we were there. But who wants to have owners / cleaners / tradies in your room during such a small trip? These things just shouldn't happen for the price paid. Thanks for your feedback Jenny, it's always appreciated to make sure we can present the property in the best way possible for our guests. Our housekeeping team generally do a terrific job but they are only human and sometimes things get missed, it's not on purpose! That's why we always ask guests to alert us on arrival if there is anything we can do to make their stay more enjoyable. Great location, well equipped kitchen, good sized rooms. 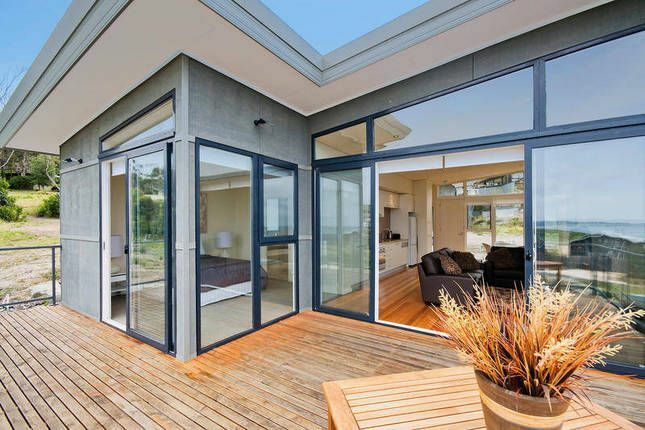 The only minor issue is the sliding doors onto the deck are extremely difficult to open and close.